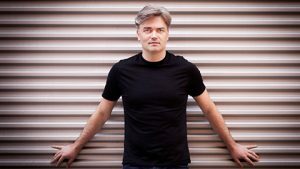 Edward Gardner returns to the Concert Hall to conduct Wagner’s Overture to The Flying Dutchman and Berlioz’s Symphonie fantastique. The program will also feature Renaud Capuçon in Sibelius’s Violin Concerto, one of the iconic works in the concerto repertoire. Performance Timing: Part One - 45 min. ; Intermission - 15 min. ; Part Two - 45 min.